The Vienna School of Fantastic Realism formed in 1946 and included Ernst Fuchs, Rudolph Hausner, Wolfgang Hutter and Fritz Janschka. Arik Brauer and Anton Lemden joined later. The group saw itself as surrealist although they were already moving away from the surrealist painting of the 1930s towards a more visionary approach. Technically their work had the clarity and detail of early Flemish Painting. They were quite influential on the continent, but little known or appreciated in Britain. 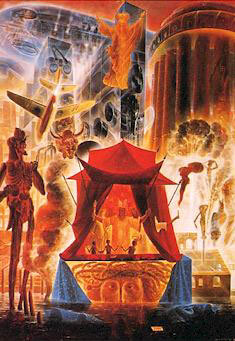 In 1957 Hausner fell out with surrealist orthodoxy after completing his first Adam picture and split from Fuchs and the others to pursue his own vision. 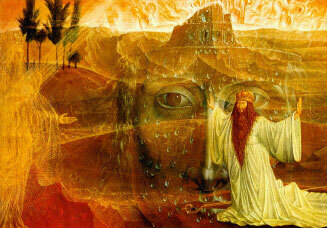 Fuchs had already moved away from surrealism into visionary mannerism. 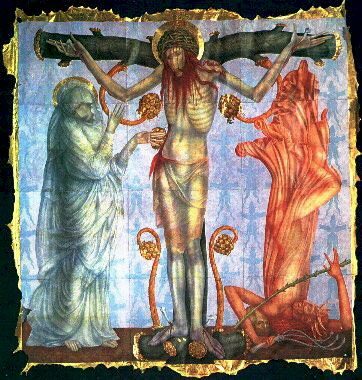 He painted a number of paintings with religious subjects culminating in his triptych The Mysteries of the Holy Rosary for the Catholic church in Hetzendorf, Vienna. His paintings from the late 50s to the present day have extraordinary visionary power. Babylonian Cherubs, visions of Christ and other mythological subjects explore the roots of middle eastern religious experience. The power of colour, form and content set his work apart from modernism. In 1970, he began to work on monumental sculptures. Later in 1973, he acquired the Otto Wagner Villa in Vienna, which he subsequently renovated completely and which is now the Ernst Fuchs Museum and contains a complete range of his work to date. He then undertook stage designs for operas, especially Wagner. In the 1980s, he had a number of international exhibitions including a retrospective in Venice. In 1993 he had a major retrospective in Russia  one of the first major western artists to do so. 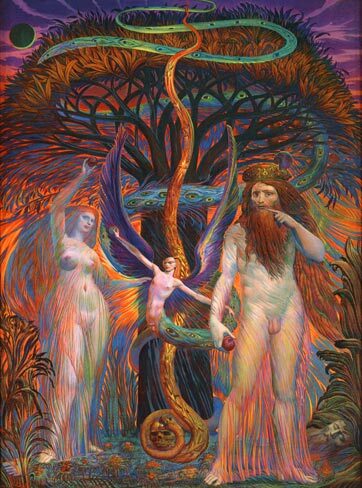 "Adam and Eve in Front of the Tree of Knowledge"